The Ousmane Dembélé case was a major topic in this week’s Futbolgrad Network’s Gegenpressing Podcast. Borussia Dortmund rejected an offer of €80 million guaranteed, plus €25 million at a meeting at the Düsseldorf airport almost two weeks ago. Ever since that fateful meeting, Ousmane Dembélé has refused to train with the club, and Borussia Dortmund have responded to suspend the French winger. Ever since that fateful meeting at the Düsseldorf Airport Barcelona, according to BVB CEO Hans-Joachim Watzke, Barcelona have increased their offer only slightly. That was about one week ago, and there has been no negotiations ever since. The Ousmane Dembélé situation has developed into a real transfer saga, especially because the protagonists have been very open about what has been going on behind closed doors. 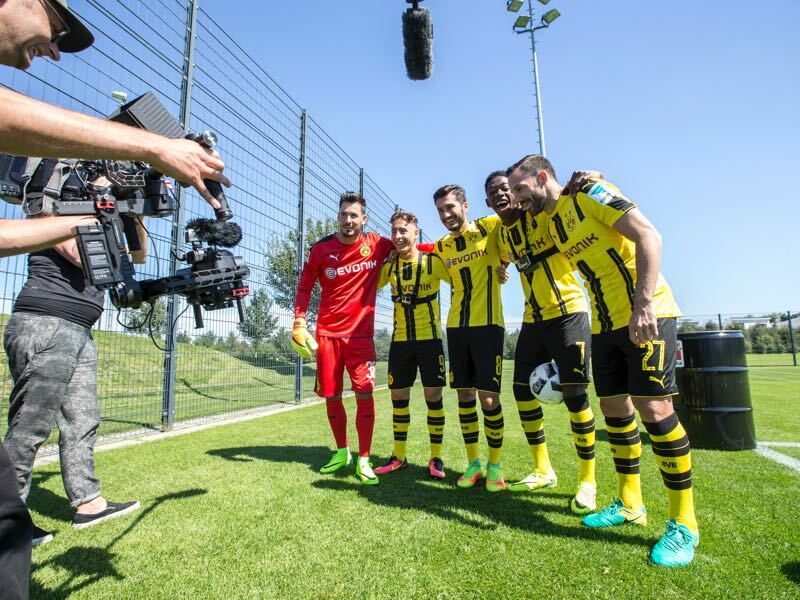 Borussia Dortmund’s ESPN correspondent, and host of the Yellowwall Podcast, Stefan Buczko rightfully pointed out on the Gegenpressing Podcast that this is an interesting story because everything is on the table. We know exactly what is happening because Watzke, in particular, has been blunt about what is going on in the German media. The CEO of die Schwarz-Gelben recently told a German football talk show that Borussia Dortmund would not let the winger go unless the club’s demands were met. He was less open about how high those demands would be, but after being increasingly asked about the price somewhat admitted that the asking price would be in the region of €140 million. Watzke was also clear that the Barcelona only have time until this Sunday to complete the deal. Borussia Dortmund will then shut the window on a possible transfer this season, which makes sense given the fact that Borussia Dortmund would potentially need time to find a replacement before the transfer deadline. With this in mind, Thursday’s Champions League draw in Barcelona could become a pivotal event in the recent history of the club. Dortmund like Barcelona will attend the draw to the group stage of the UEFA Champions League. With both clubs sending a major delegation to Monaco the Champions League draw could be used as an opportunity by Barcelona to meet the demands set out by die Schwarz-Gelben. Either or the decision made at Monaco will have a dramatic impact on the club and perhaps even the Bundesliga. The league has often been accused abroad of being a fantastic showcase, but at the same time unable to hold on to its best stars. Only Bayern, so the common perception are a top club, because the Bavarians can keep a hold of their best talent. Bayern, of course, were not able to establish themselves in that top five category in Europe until they refused to let go of French superstar Frank Ribéry. This line of not letting their best player go was not repeated by another club until Leipzig, energised by Red Bull, refused to let go of midfielder Naby Keïta. Dortmund could now follow this example with their hard stance in the Dembélé case. In fact, Dortmund could be considered a winner even if they sell the French winger. Watzke took over the club on the brink of bankruptcy in 2005. In 2011 Dortmund recorded their first positive business year and the club has since managed to record €131 million in profits. Dembélé’s transfer would bring in more than double those profits and catapult Dortmund into the same category than Bayern München when it comes to solvency. Even without the €140 million, however, Dortmund are already one of the richest clubs in Europe. Independent from oligarchs, banks or major businesses the club does not need to earn money from a potential Dembélé transfer. It is that sort of strength that promises a bright future—no matter what happens on Thursday in Monaco.